Is SITA a good neighbour? Volunteers recently helped Mitcham Cricket Green Community and Heritage complete a survey of SITA traffic. 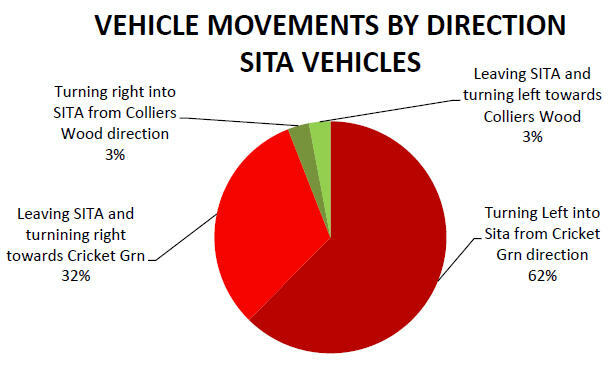 Local people have been raising concerns with SITA for a long time about large lorries using the narrow end of Church Road and the tight junction at London Road to access the SITA site. Yet SITA has done little to encourage vehicles to use the much wider part of Church Road that leads into Colliers Wood and our survey suggests vehicles by far prefer to use the narrow end of Church Road. The local Guardian published an article about our survey and asked SITA for a comment. The response falls well short of the mark, suggesting that SITA takes comments seriously and wants to be “good neighbour” but refusing to take immediate action. Read our full survey report. If you see any lorries in the narrow part of Church Road, or any SITA lorries causing problems or displaying bad driving behaviour please let us know by email, telling us the date and time and describing what you saw. Please send us the registration number of the vehicle if you can, and if you can take a photo with your phone please send us that too. We will alert SITA and keep all incidents on file. This entry was posted in Cricket Green Conservation Area and tagged SITA on November 24, 2012 by mitchamcricketgreen.